Artificial Intelligence Market To 2023 – Intel Corporation, General Vision, Inc., Numenta, Inc., Sentient Technologies Holdings Ltd., Fingenius Limited, Inbenta Technologies, Inc. The Inbenta chatbot isn't your average "yes" and "no" canned response bot. Natural language processing, semantic clustering, and other factors make this enterprise level chatbot an ideal solution to scaling your business. I sat down with the Inbenta CEO to discuss how they developed their chatbot. 2016 was a huge year for bots, with major platforms like Facebook launching bots for Messenger and Amazon and Google heavily pushing their digital assistants. Why Nudge.ai? Reach out to the decision makers at Inbenta with a personalized email - let them know that you found their recent news mention interesting. Nudge.ai’s relationship intelligence platform can help you find the right executive to reach out to at Inbenta, such as Leah Clark, Director of Customer Success, or Fadi Zananiri, Chief Revenue Officer. Then get in touch and start a conversation. Executives can be difficult to reach, but every company has connectors who bring together people and ideas. At Inbenta, people like Julie Casson, and Fadi Zananiri are likely connectors. 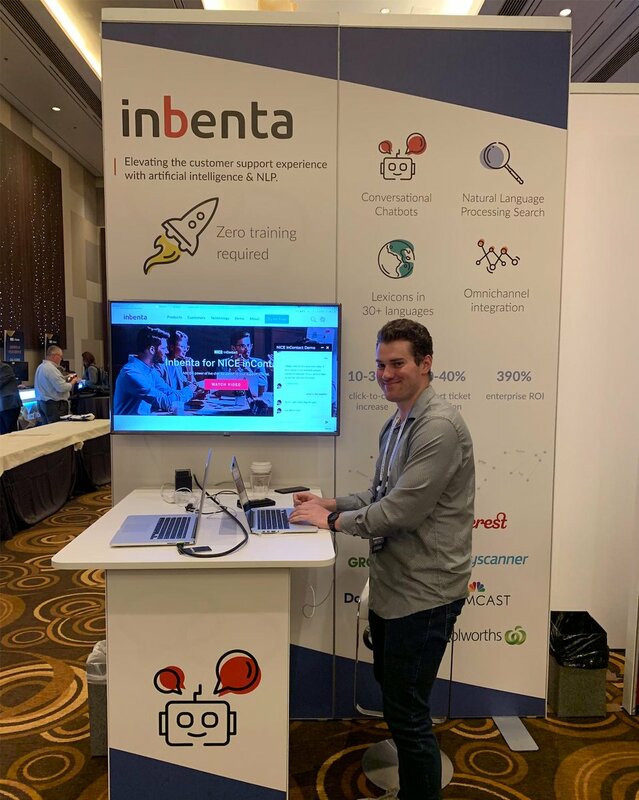 Stop by our booth at the #Interactions conference in Las Vegas highlighting #AI #chatbots that integrate with #NICE #InContact . When Inbenta is mentioned in the news, Nudge.ai often sees topics like Enterprise, and Search. If your conversation focuses on these topics, you’ll probably get Inbenta’s attention. When Inbenta is mentioned in the news, companies such as Newegg, Riskiq, and Coveo are often also mentioned. These companies can serve as customer examples. Who in your network can introduce you to Inbenta? Nudge.ai finds the best pathway to reach contacts at this company.